Recipes don't get much easier or delicious than this one. What else? 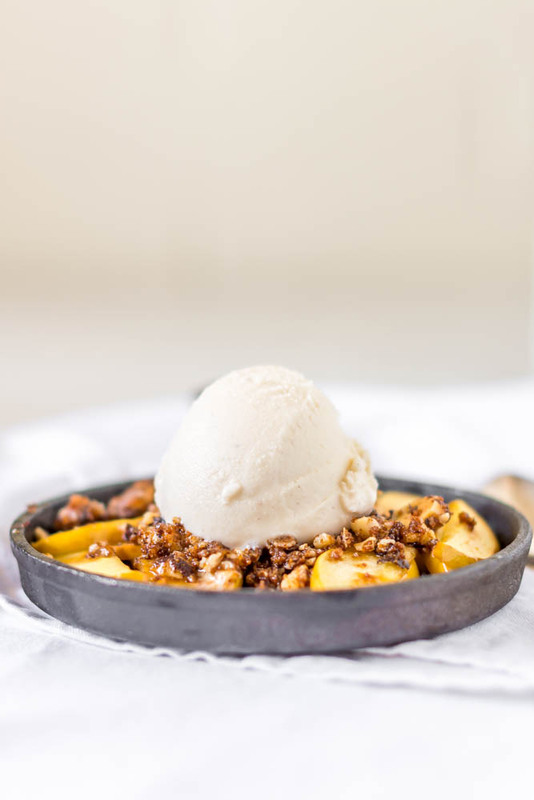 Minus the ice cream, it's pretty dang healthy! All it requires is three quick and easy steps in one skillet . 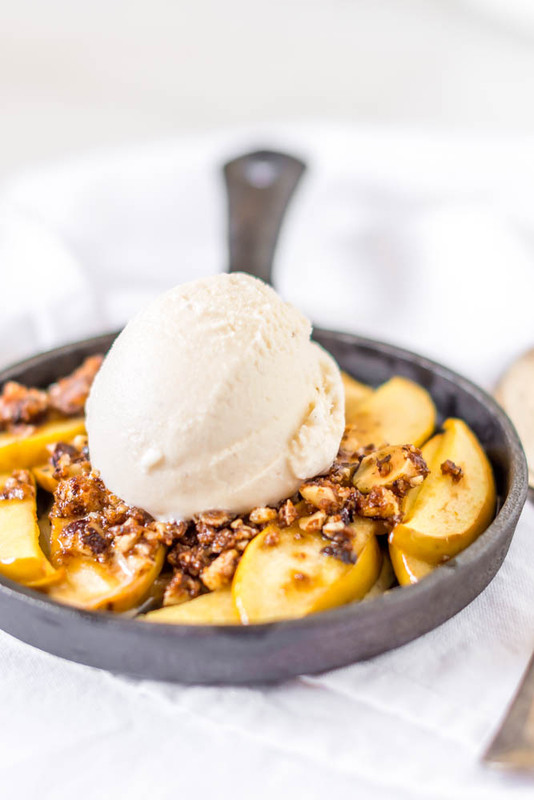 . .
1) Mix a little crumble 2) Sauté the apple mix in skillet 3) bake together in same skillet . . . and . . . 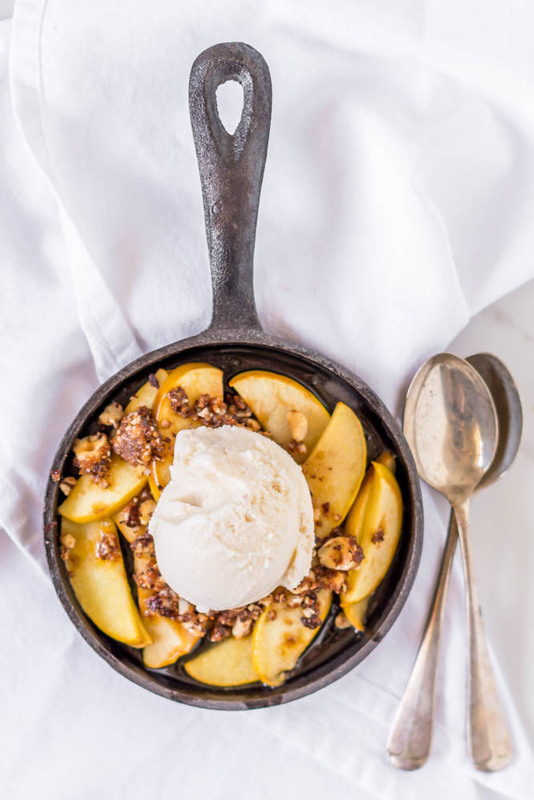 Your beautiful, fall dessert is served (in the same skillet)! Combine hazelnuts, coconut sugar, cinnamon, nutmeg, salt and coconut oil in prep bowl and set aside. 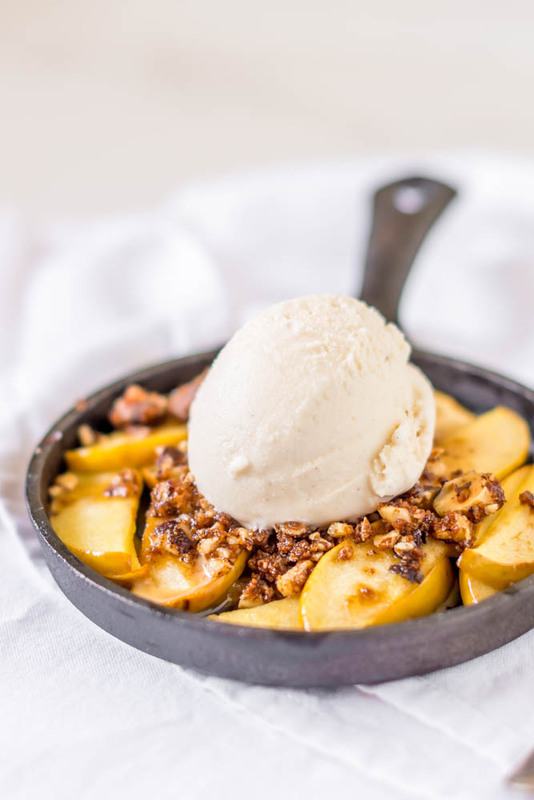 Heat butter in a small skillet, add apple mixture and coat. Continue cooking for a few minutes until the apples just begin to soften. 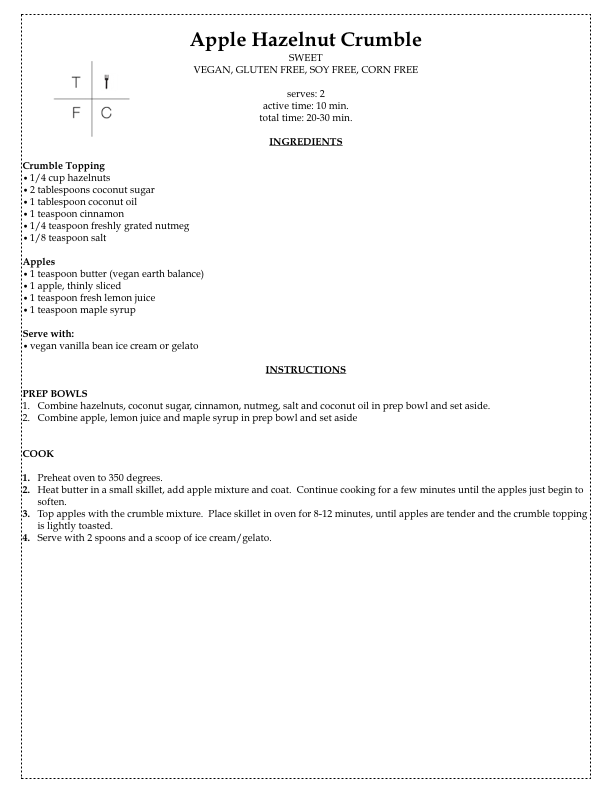 Top apples with the crumble mixture. 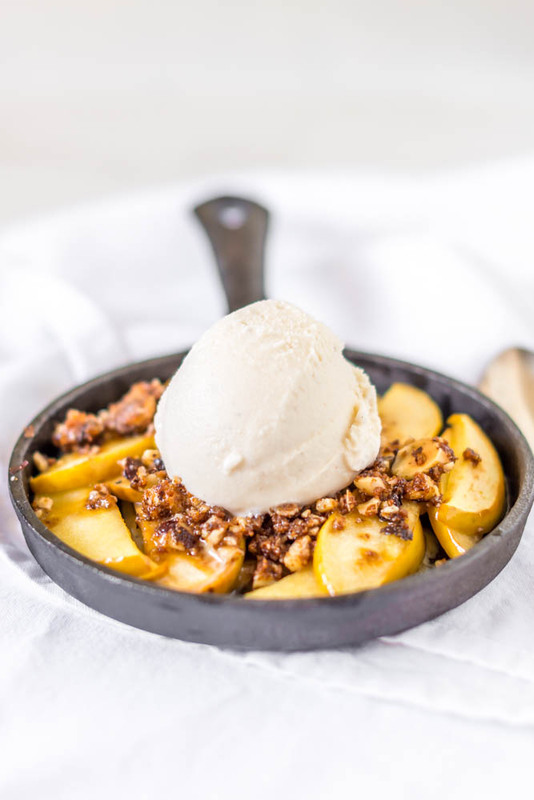 Place skillet in oven for 8-12 minutes, until apples are tender and the crumble topping is lightly toasted. 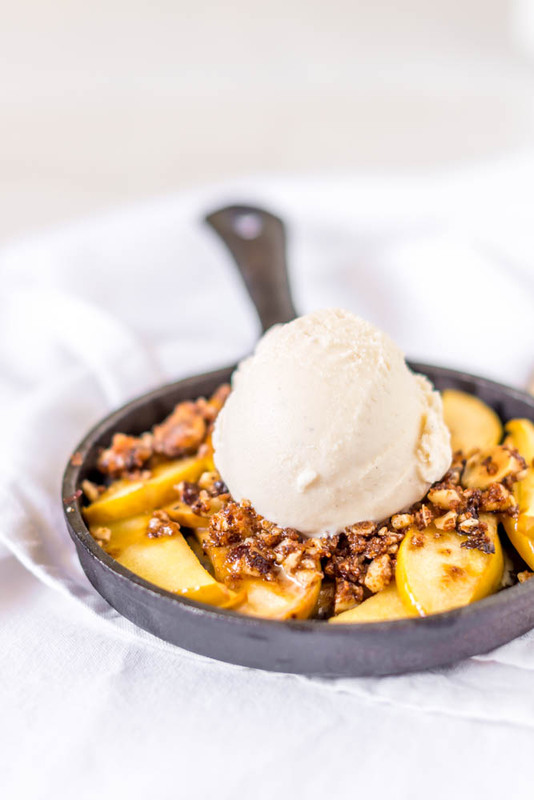 Serve with 2 spoons and a scoop of ice cream/gelato. Newer PostGrab n' Go "Click Picks" from COSTCO!